Unlike other countries in Southeast Asia, such as Thailand and Indonesia, Cambodia wasn’t known for its diving scene. However, in recent years, Cambodia and diving are slowly becoming words that are synonymous with each other! Perhaps it’s the untouched, under-explored waters that are slowly drawing diving enthusiasts in, after all, who wouldn’t love to be one of the first to discover a world beneath the waves? 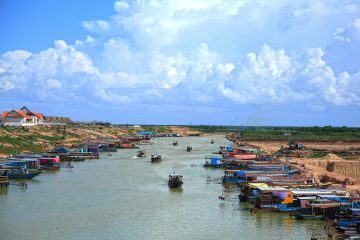 A stunning country both above and below the waterline, Cambodia boasts sweeping beaches, untouched coastlines and numerous islands to explore. This, together with the numerous rocky reefs and an abundance of species, makes Cambodia a diving paradise! 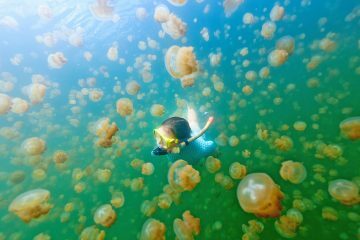 Sihanoukville may be the hub of scuba diving in the whole country, but there are so many amazing dive sites on offer. To help you broaden your diving horizons, we bring you a list of the best Cambodia diving spots! There’s a reason why Koh Tang makes our best Cambodia diving list, not only is this area known for its sea life and corals exploding with color, but it is also known for its incredible visibility too! Imagine seeing the marine life that inhabits this area, mainly trigger fish, large barracuda, nudibranch, and a range of crustaceans, in an underwater high definition! Cool right? As well as being an ideal spot for divers of all levels, the island itself is also pretty sweet; with its crystal clear waters, soft beaches and uninhabited island, Koh Tang is a true island getaway! Insider’s Tip: It is said that these dive spots are best explored by overnight live aboard. With the visibility and remoteness of the island, we can see why it would be. Highlights: We love us a true secluded island! Koh Tang is an adventure to get to in itself, with a four-hour boat trip from the main port, but trust us when we say the result is so worth it! Although development has started on the small island, it still retains an uninhabited and untouched island feel. With only 2 or 3 sandy beaches and waters with an average visibility of 15m, there’s no wonder why this remote island makes for a very exclusive trip. Best Dive Sites in Koh Tang: A few of the best dive sites in Koh Tang are Explosion Reef, Three Bears, Giraffe Lookout, and Sting Ray Alley. In Explosion Reef, experience the staghorn coral, the “nursery” of this dive site that explodes with the dazzling colors of juvenile fish and marine life. At the popular dive site of Three Bears, you can discover why the place got its name and find yourself being followed by schools of Bat fish. The Giraffe Lookout dive spot acquired its name from a tree perched on the top of a cliff. You will have to see the tree for yourself as you discover the hard and soft corals that are pulsing with life, especially marine worms! Sting Ray Alley is a great diving spot for diving with stingrays! Night diving is supposedly best, as you’ll also get to see many an octopus and scorpion fish. We can’t talk about Cambodia diving without mentioning Koh Rong Samloem as a dive site. One of the most popular dive spots in Cambodia, Koh Rong Samloem Island offers an incredible diversity of marine life which you can explore right from the shore! Famed for its underwater safari, these dive sites may not offer bigger fish, but you will see a plethora of vibrant horned starfish, seahorses, scorpion fish and stingrays. You’ll just have to keep your eyes peeled at all times to spot some of them! As well as providing an awesome range of marine life, this dive spot is perfect for any diver due to its shallow waters and good visibility. It is also super convenient to get to, with the island being only 40 minutes away from Sihanoukville by speed boat or 2 hours by dive boat. Highlights: As much as we love a pristine and colorful coral reef, this dive spot is a vast sand desert which is perfect for those looking for a different dive. Imagine having a whole seabed to explore, where you can see a huge variety of bizarre creatures clinging to the sandy floor. Sounds like a barren land that we’d love to discover! Best Dive Sites in Koh Rong Samloem: Top dive sites around these islands include Secret Garden, Cobia Point, Rocky Bay and Nudibranch Heaven. Victoria’s Secret Garden is just that, a secret, so don’t be surprised if this dive spot is well-hidden. A narrow strip of off-shore reef, this dive site is perfect for a drift dive where you’ll see stunning soft coral reefs and marine life. A deep dive for more experienced divers, Cobia Point tends to attract a lot of large cobia fish that hand around divers like the very curious creatures that they are! 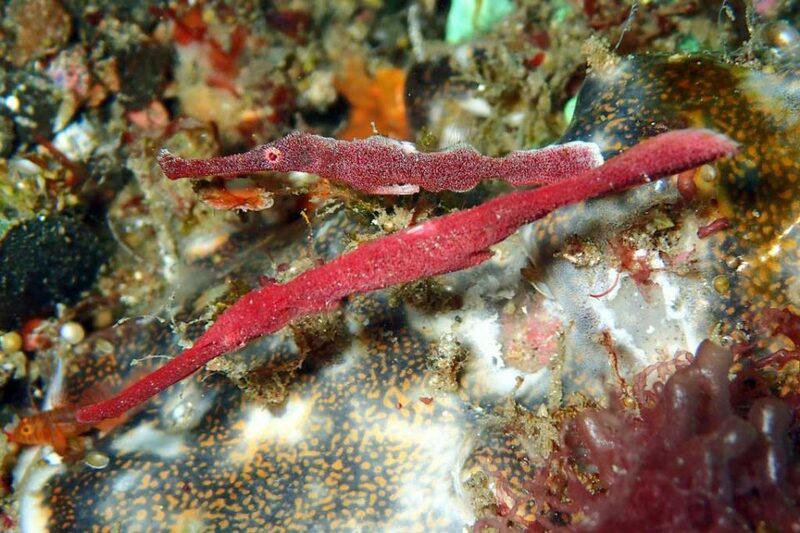 At Rocky Bay, check out the abundance of macro-life and enjoy a long dive at 10m. 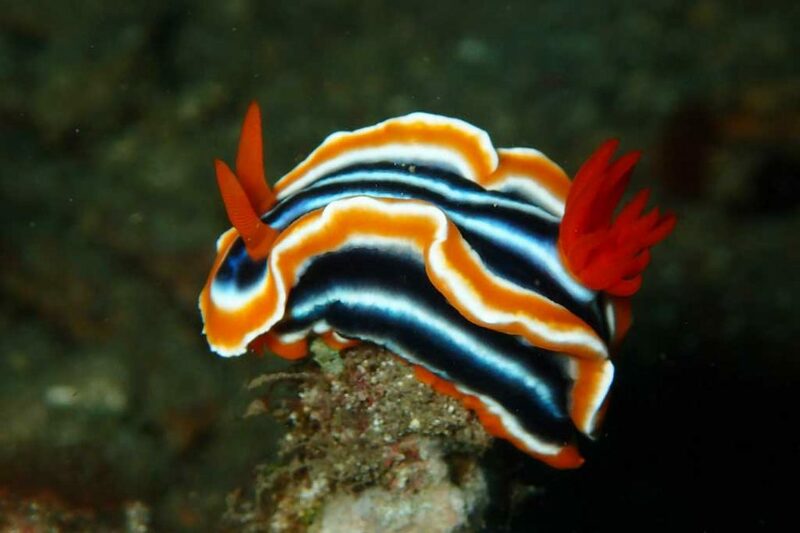 Nudibranch Heaven is a shallow dive spot that boasts many puffer fish, moray eels, and small octopus. Condor reef is another popular spot for Cambodia diving and is actually considered as one of the best dive sites by many. Why? This one location has excellent visibility, fantastic underwater natural architecture, shipwrecks, and of course a bounty of marine life. 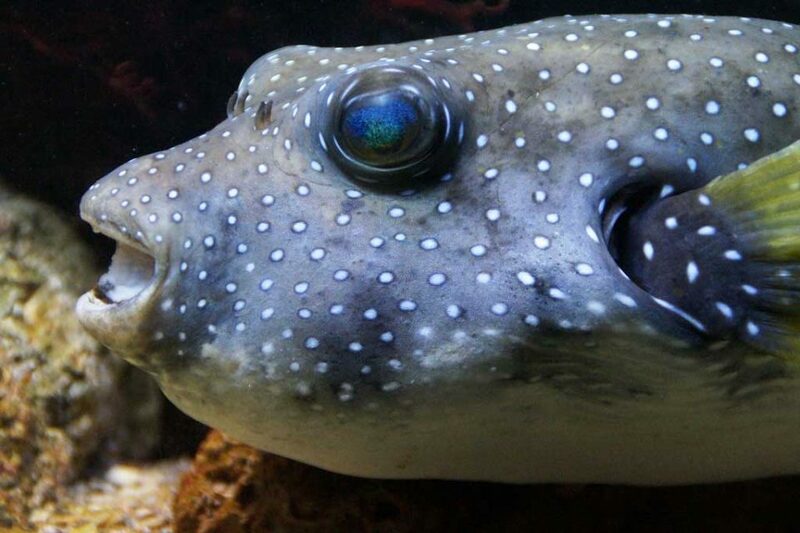 If you’re lucky, on some dives, you may encounter reef sharks, turtles, and even whale sharks! 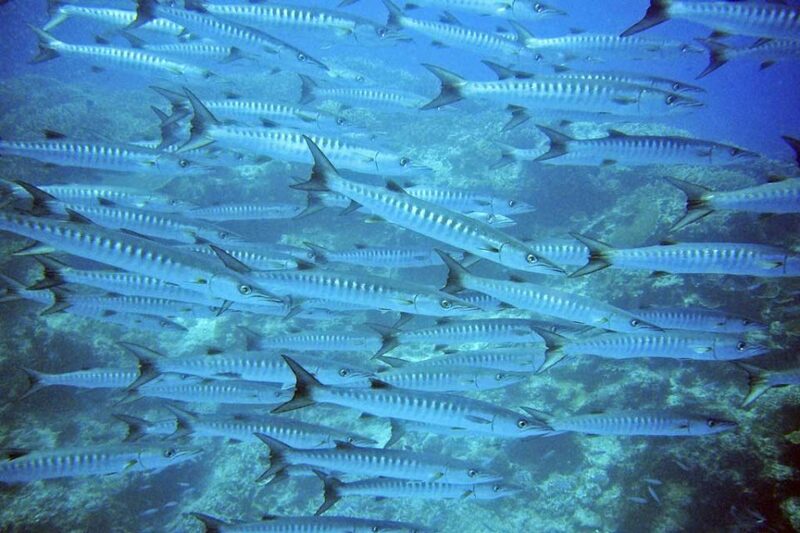 As well as big pelagic fish, this dive site is a resounding favorite due to its unusual natural scenery. You will find huge rectangle rocks, terraces, mini walls with giant kettles and arches, all in the depths of the sea. With such a bizarre geological phenomenon, prepare to be amazed! Highlights: We love shipwreck diving! With many Chinese junks sailing through these waters, there are so many wrecks to explore on the sea floor. This has provided amazing coral reefs and ecosystems that are perfect for divers, but they also attract many treasure hunters to the area as they were supposedly loaded with gold and valuable porcelain! Similar Dive Sites to Condor Reef: Explosion Reef, Koh Wai, Koh Prins and Koh Kron. Between the two well-known islands of Koh Rong and Koh Rong Samloem, Koh Kon is often overlooked as a diving destination, but it shouldn’t be! This small island may be smaller in size than many of the other islands, but it by no means lacks in the marine life that you’ll see here. Prepare to see three different species of seahorse, two different species of octopus, pipefish, nudibranch, stonefish, Indian Walkmen and much more! Just 1.5 to 2 hours from the mainland, Koh Kon has two tiny beaches and rocky coastlines that extend out into the sea. Can you get much more remote than this? Highlights: We love places where you need an experienced guide to show you the ropes! Not only do they know what they are doing, but they often know the best-hidden gems that you wouldn’t find on your own. Best Dive Sites in Koh Kon: The western and southern dive sites are the main diving spots on Koh Kon, but the north and east sites are also popular. The west site offers two bays with rocks that drop off to a sandy bottom at 16m, but the highlight at this spot is the colorful coral, large parrot fish, box fish and schools of yellow goatfish. At the south site, you will find shallower dives which are perfect for night diving and therefore different fish such as cat sharks, blue spotted rays, and eels. At the north, you’ll find rocky outcrops and a rich macro-life, while the east offers vast sandy areas where you’ll find unusual invertebrates hunting on night dives. Koh Sdach Archipelago is one of the most hidden gems of Cambodia! A small archipelago of 12 islands, all in close proximity to each other, these islands are surrounded by crystal clear waters with pristine coral reefs. Although it is a perfect diving spot, this area is very underdeveloped with most of the islands uninhabited. For this reason, many seek accommodation on the only two islands that offer it (Koh Sdach or King Island and Koh Totang). So while this collection of islands provide incredibly untouched islands for you to explore, the waters also offer flamboyant sea creatures and underwater scenery just waiting to be discovered. This sounds like heaven to us! Highlights: With uninhabited islands comes so many experiences to be had! For example, on Koh Sdach Island, there is a fishing village with Cambodian, Chinese, Thai and Vietnamese locals. The people on the island are so curious and friendly that they’ll be more than willing to share their stories with you as well as the best-isolated beaches and snorkeling spots! Around 5-6 hours off the mainland, you’ll find an amazing spot for Cambodia diving. At Koh Prins, there are three islands: the “big” island (Koh Prins), the Chicken Island (Koh Moan) and the Naked Island, all with amazing diving opportunities. Known for their fantastic visibility and pristine coral with a kaleidoscope of color, these dive sites have an abundance of trigger fish, large barracuda, nudibranch and whale sharks in certain months (December and May). Covered in hard and soft corals, you’re guaranteed to discover a range of marine life at this phenomenal diving location! Highlights: We love the remoteness of this island! By the time you make it here, the amazing diving opportunities, small fishing village, and two secluded sandy beaches, will make the experience all the more worthwhile! 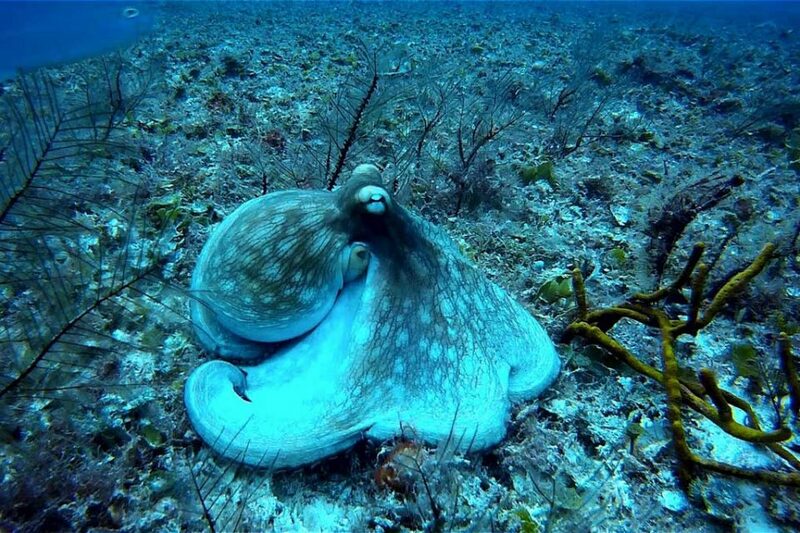 Best Dive Sites in Koh Prins: Top dive sites in Koh Prins are the Drop Off, Anemone Garden, and Shark Point. As you can guess, the Drop Off is an exhilarating drift dive where the rocky wall drops to over 30m. At Anemone Garden, you will see a blanket of anemones stretching across the bay as well as an abundance of fish life. This is a great spot for a night dive as the shallow area is frequented by electric blue-spotted stingrays mingling with moray eels, and bamboo and cat sharks. As the name suggests, at Shark Point you will see black-tip reef sharks, as well as whale sharks if you’re diving in December and May. Just like its sister island, Koh Rong is another favorite for diving in Cambodia. Although known as the party island, the second largest island in Cambodia boasts incredible diving spots that attract everyone from beginners to experienced divers alike. With off-shore diving that is simply amazing and a huge diversity of marine life, it’s a no-brainer why people love Koh Rong so much! A convenient boat ride from Sihanoukville, many opt to stay on the mainland rather than the island itself, even though the island does offer some beautiful secluded beaches. You just have to find them! Highlights: Koh Rong Island offers incredible variety. So, whether you’re a beginner or an expert, enjoy shallow reef diving to deep drift dives and enjoy a plenitude of underwater life! Best Dive Sites in Koh Rong: Many of the best diving sites in Koh Rong are shared with Koh Rong Samloem, with the exception of Khmer Garden, Budda Reef and Back Door. Back Door is a large area of huge boulders that have formed some amazing architectural landscapes underwater, perfect for the growth of ecosystems and for fish to hide. The site is incredible to see so don’t miss it! Just an hour from the mainland, Koh Tas is a very underdeveloped island that is fringed with an incredible reef just waiting to be explored. It has two main beaches on the north and south side, which have some great snorkeling spots, but the diving sites are found on the west and south sides. With fairly good visibility and plenty of marine life to see, Koh Tas makes for a great destination for some Cambodia diving. The island itself however, is incredibly small. You can explore the whole thing in a few hours and the only development is a lighthouse with accommodation for the guard! Highlights: This incredibly underdeveloped island has one of the most untouched dive sites in the whole of Cambodia. Need we say more? 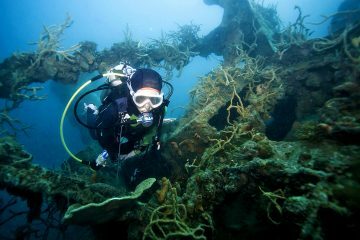 Best Dive Sites in Koh Tas: Head to the northern, western and southern dive sites. At the north, you’ll find a shallow sandy bottom with a colorful coral reef and a huge range of juvenile fish life. To the west, you’ll find a popular dive site that boasts many anemones, box fish, sea bass, large snappers, and sweetlips. Lastly, the south site features a beautiful shallow coral reef that is perfect for macro-diving and snorkeling. For a remote site that offers some great exploration, you will find the rocky Shark Island in the middle of the ocean just north of Koh Sdach. Obviously, the island got its name from the black-tip reef sharks that live off the northwest point of the island, but you will also see bull sharks and whale sharks when you dive here too! With amazing visibility all year round, there is nowhere better to swim with sharks that at this site. As well as amazing underwater experiences, the island is also home to thousands of terns and other seabirds, so expect life above the water to be loud! Highlights: The sharks say it all! 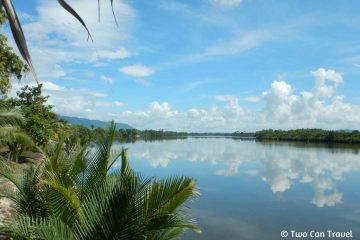 Looking for a convenient diving location yet somewhere that is secluded and untouched? Well, Koh Ta Kiev is the island of your dreams! Just an hour away from Sihanoukville or Otres Beach, this tropical island paradise is filled with long sandy beaches, thick jungle, limited accommodation in the form of bungalows and of course, amazing diving spots! Due to its proximity to the Ream National Park, Koh Ta Kiev Island offers some amazing coral reefs which are in great condition, are untouched, and boats an abundance of marine life. Expect to see a lot of smaller fish such as anemone fish, pipefish, and gobies. Highlights: Koh Ta Kiev is one of the most untouched and beautiful places in Cambodia! It is possible to dive in Cambodia all year round. However, the best time and weather to dive in is during the dry season (from November to May), as the visibility is better and the currents are calmer. Also, December and May tends to be when Whale Sharks are most sighted! Insider’s Tip: Make sure to check the weather conditions of each individual place that you are diving in! So, we’ve reached the end of our best Cambodia diving spots list. 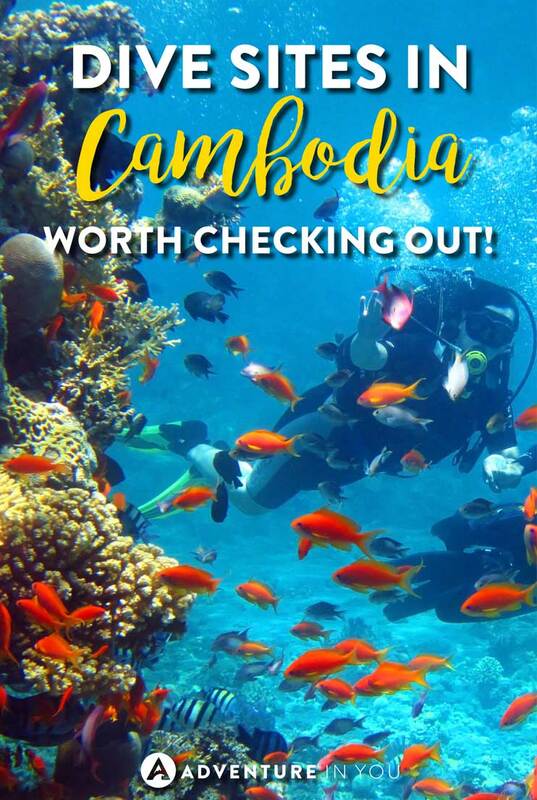 Although not as developed as other Southeast Asian countries, hopefully now you can see that Cambodia is a great place to learn to dive or explore where no one has ever gone before! A perfect location to become a PADI Instructor or PADI Divemaster, head to Cambodia and dive until your heart is content!